I've wanted to know about Zen for a while now. 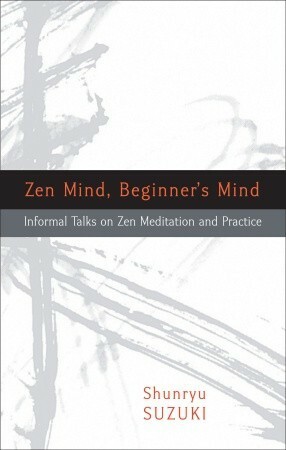 I selected my first contact with Zen to be a book Zen Mind, Beginner's Mind. It's a collection of stories from Zen master who taught in US for many years. It might be the first book ever which is hard for me to review. It's hard to say anything about Zen teaching, because of I'm totally new to Zen myself. Also saying something about Zen book somehow insults the way I understand Zen. And then also the idea in Zen is to keep always learning with clear mind. Book was really interesting to read. Almost every story told in the book got me thinking. It takes time to read the book and fully have the time to think on the teaching taught in the book. Good thing is that these stories are just short enough to read in ten minutes and then stop to think a bit more on what was actually said. All I can say about the actual content is that it at least got me much more interested on Zen than before the book. I guess it has done it's job on that sense. If you have any interest on Zen, I definitely recommend to read the book. Why people need mobile, tablet and laptop?